The goal of emergency care training should be to give your students the knowledge and skills to feel comfortable responding to a medical emergency. We do this by providing high-quality course content, demonstrating skills, and directing practice sessions that include peer coaching, skill correction, class discussions, and knowledge checks. But how many of us are utilizing real-life, scenario-based practice in our classes? Are we asking our students to “fly solo” by putting them on the spot to work through a scenario on their own, without input from their peers? Too stressful for your audience? On the contrary. As it turns out, a touch of stress may be just the thing students need to get the most from their experience of your class. According to the American Heart Association (AHA) Scientific Statement, Resuscitation Education Science: Educational Strategies to Improve Outcomes From Cardiac Arrest, adding an appropriate level of stress to your classes may drive student engagement. Scenario training is ideal for tapping into that “emotional investment” by engaging students to work their way through the simulated emergency. But remember, effective learning means applying the appropriate amount of stress in these sessions. We never want the potential stress of working through a scenario to distract from the knowledge or skill acquisition. The end goal is to have bystanders who will feel confident enough to respond to emergencies at home, in the community, and in the workplace. For some students, the skills practice found in the group practice sessions within the training course will be enough. For other groups, such as healthcare professionals or first responders, consider adding that effective touch of stress by putting each individual student in a simulated emergency situation. Testing his or her ability to make decisions and act correctly in a situation that feels a little more urgent and realistic can deepen a student’s understanding of and investment in the core training outcomes. ASHI and MEDIC First Aid training programs include powerful instructional design tools to help you set your students up for success. In addition to the group practice sessions built into the course, our Talk-Through Scenarios and Performance Evaluations can be used in an informal way to add a safe degree of stress to skill practices to encourage student focus. Talk-Through Scenarios are student- or instructor-led practices that allow for an individual student to make real-time decisions while being coached by a peer (or instructor). With an experienced group of students, these scenarios can be used as an alternative to the prescribed small-group practice. In addition, Talk-Through Scenarios can be used for additional practice after students have learned a given skill, providing the students further hands-on practice during the class and giving them an opportunity to apply the knowledge and skill they have just learned. 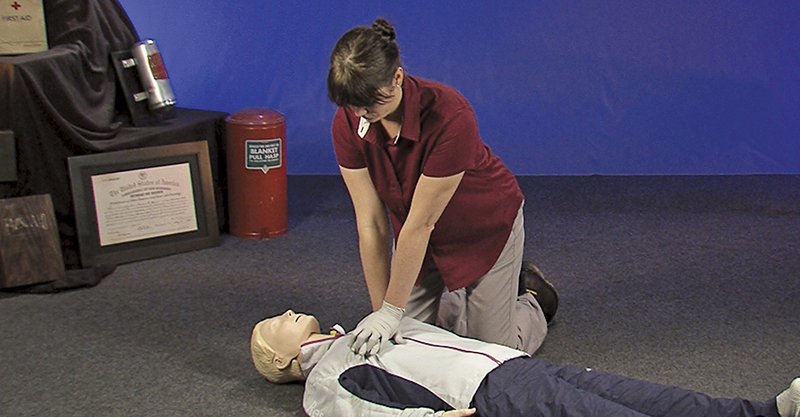 In an ASHI or MEDIC First Aid course, a Performance Evaluation is provided as a formal way to document a student’s skill acquisition during a course, especially when required by regulation or by organizational requirement. Performance Evaluations are also the main tool used when a student is challenging an ASHI or MEDC First Aid course. However, Performance Evaluations can be used informally to provide additional hands-on practice during class, similar to Talk-Through Scenarios. The Performance Evaluation starts with a scenario, but unlike Talk-Through scenarios, the student is then expected to make the correct decisions and perform the correct treatment without coaching from the instructor or peers. When used in the context of additional practice, students should receive feedback on decisions and skills either as they are performed incorrectly or at the end of their Performance Evaluation practice scenario. Keep in mind that, when used in this informal fashion, a Performance Evaluation should not determine certification. Engagement can sometimes be increased by altering the scenarios in the Talk-Through Scenarios or Performance Evaluations to reflect the real-world context of your particular group of students. The skill tables should still be used as the student moves through the scenario to its completion. If developing a scenario to give more real-world context, be sure the scenario is still appropriate for the skill and does not change the treatment in the skill table. Always remember, the main goal of teaching an emergency care course is to create confident and capable responders. Adding a little stress (but not too much) can keep the attention of your students and may be just what they need to respond with confidence to a real-life medical emergency. Let us know how you are using or how you plan to use scenario-based practices in your classes in the comments section.